Begun when he was very young and about to take up important government post as Clerk of the Acts of the Navy Board, Pepys diary offers a detailed and personal account of the 1660s. Samuel Pepys brought an end to the diary on 31 May 1669 because he was concerned that writing in low light was causing him to go blind. Now, 350 years after that last entry we celebrate the man and his remarkable diary. 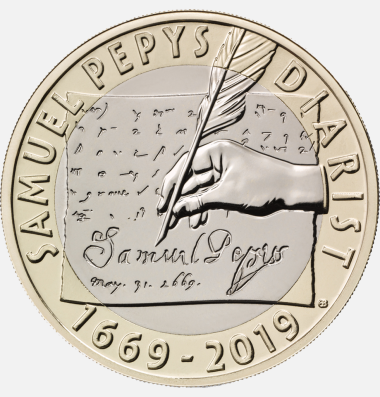 “And thus ends all that I doubt I shall ever be able to do with my own eyes in the keeping of my journal ..." The beginning of the last entry in Samuel Pepys’ diary, signed and dated 31 May 1669.